Every sensible home owner knows how important it is to have the right materials on hand at the right time, which for home owners translates to any time—because that is when something could potentially go wrong around the home, necessitating a home repair of one sort or another. 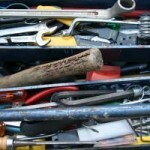 Indeed, the chances of contingency are so high that responsible home owners tend to keep an entire shed or garage full of tools and supplies to keep things in running (or better) order! Yet not everybody is entirely clear on what kinds of home repair and improvement materials are worth having on hand, and for a given application, which brands or varieties are advisable. Generally speaking, a material that has proven to be of enormous utility around the home and that has come to have a million and one different applications is epoxy resin, a substance which commands the admiration of chemists the world over for its renowned properties. But what exactly is an epoxy resin and what on earth does it have to do with fixing up things around the home? Epoxy resins were first discovered in the 1930s, and the vast industrial uses for the matter did not delay in making themselves evident. An epoxy is a substance that is obtained when a thermosetting epoxide polymer is mixed with a hardening agent, producing a process described as curing (involving crosslinking of the polymer molecules) that converts the previously soft epoxy into a stiff material. The resulting hardened epoxy is incredibly waterproof, a detail that didn’t escape the attention of the pioneers of this material, and epoxy resins are used broadly as coatings and as waterproofing in many industries, including home construction. In fact, the applications for epoxy seem to only multiply with time, as the chemical agent is able to take on a wide variety of properties imbued in it by various industrial treatment processes, thanks to which epoxy resins can be very fast setting or extremely slow setting (or curing); they can be of the most solid rigidity, or they can be given a great degree of flexibility; they can be transparent or opaque or given a certain color. Given the incredible versatility of epoxy resins, they have been employed for several different purposes including as adhesives of high performance, coatings, and are included in many different kinds of composite materials, especially those containing fiber glass (such as in the boat making industry). The resistance that epoxy resins have against both physical forces and chemical agents have earned them a sacred place within countless different and completely unrelated industries. As a brilliant example of the versatility of this unique material, consider the following: despite the fact that epoxy resin in general is an incredibly effective electrical insulating substance, it is possible to completely reverse that situation such as through the production of silver impregnated epoxy resin, which is wonderfully conductive. There is hardly nothing that developers can think of that this substance can’t be made to do! Within the field of adhesives, epoxies are one of the most important varieties of what are known as “structural adhesives,” which is a term that gets at the incredible force-bearing resistance of these adhesive materials. (Other structural adhesives include acrylics, cyanoacrylate, polyurethane, and other compounds besides.) The bonds that are obtained with epoxy resins are of such high strength that they are present throughout most homes, tucked away in areas that can’t be seen, and the same goes for the construction of cars, bicycles and motorcycles, as well as skis and golf clubs. The materials that epoxy resins bond particularly well with include stone, plastics of all kinds, wood, metals, and other materials as well. At home, epoxy resins have practically unlimited uses, and home owners will find that in a wide variety of home improvement projects epoxy will be one of the key ingredients to have around especially as it is a water repellent. First and foremost, think waterproofing: wherever there’s a leak to be plugged, there’s an epoxy resin to be applied. An example of such an application is when fixing a sink basin to the bottom of a kitchen countertop (made of wood, metal, stone, etc.). Thanks to the excellent bonding properties, the epoxy won’t have a problem fastening to either the material of the sink or the countertop, whether they are the same or different. Epoxy resins are also widely used to help seal pipes and drains and to help prevent the build up of corrosion on such items and other metal surfaces. Epoxy might also come in hand when simply fitting a home appliance into place, such as when changing a given appliance from a stand alone position to a built-in one; simply applying a limited amount in key contact areas will give a nice firm hold that won’t fail. For heavy duty applications, it’s important to remember that heat cured epoxies will be more durable and will specifically withstand high heat a lot better than an epoxy that has been cured at room temperature. In the same sense, always remember that there are a thousand different varieties of epoxy out rethere on the market and that many have been specialized for particular uses, so make sure that you are using the right one for your projects around the house. Epoxy resin is found at most hardware stores in the country, and is typically sold as a two-component kit. It’s necessary to blend the two distinct components, usually of a different color the one from the other, just before applying it in whatever fashion, as the curing process begins immediately (though, as mentioned, some epoxy resins cure much slower or faster than others). When mixing and applying the epoxy resin, it’s recommended to use some sort of protection for your skin as the chemical compound is not exactly beneficial to the hands; sometimes an epoxy kit will come with a special cream that serves as a chemical barrier between the epoxy and your skin. So make sure that you’ve got some epoxy resin on hand at your home to take care of things the next time a water leak appears; or who knows, you might just find a thousand different uses for the substance in addition to waterproofing!